English for Internationals offers adult English Classes for everyone!! English for Internationals is continuously seeking new partnerships with qualified agents, worldwide. If you are interested in applying, please submit your information. This is the most comprehensive student program. Itis offered to students studying in the US on an F1 Student Visa. The classes and schedules are designed for busy local adults who are motivated to improve their English skills. Transferring to English for Internationals from another school is easy and FREE! Simply follow 5 steps to complete your registration. English for Internationals is happy to provide the Form I-20 and Acceptance Letter for you to apply for a change of status. Homestay can provide you with safe, convenient housing in an American family home so you can improve your English language skills more quickly. English for Internationals is accredited and is authorized under Federal law to enroll non-immigrant students. 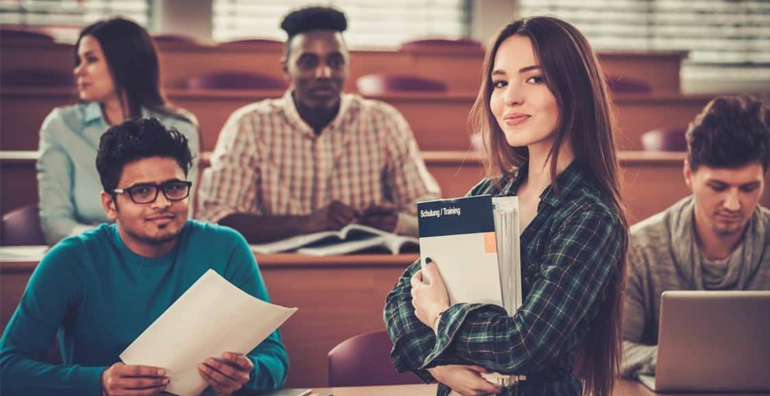 English for Internationals is accredited and is authorized under Federal law to enroll non-immigrant students.The mission of English for Internationals is to provide English as a second language instruction for international adults in a high-quality and ethical manner. Classes are interesting and interactive. Our instructors bring years of teaching experience into the classroom along with a passion for helping students excel and develop their English language skills. Students practice Grammar, Reading, Writing and Listening and Speaking. Learning and applying the skills that are taught in classes has a very positive impact on our student’s lives. In addition, students enjoy developing friendships by attending activities and excursions around the Roswell area and beyond. In and out of the classroom, students learn about other cultures giving them a broad, global perspective. My favorite thing about English for Internationals is the environment and their dedication to making their students feel comfortable and able to learn English in the best way. English for Internationals has become my second home. The teachers and staff are marvelous human beings, who have showed me a sincere smile and supported me during my culture adaptation into the United States. I did not just learn a lot about a language, I also broadened my horizon. For me, there was no better place to study English as a Second Language than at English for Internationals. Besides the incredible atmosphere, another amazing feature of this school is the amazing teachers and staff. Each one of them has some unique teaching strategies that work amazingly for the students and help us improve in the language even faster. I have many favorite things about English for Internationals such as the wonderful staff members, the very friendly teachers and all the perfect classmates. I have studied with a lot of teachers since I came here and all of them are friendly, helpful and successful.